Individualized blood-glucose monitoring plans are essential for people with diabetes. Learn to support people's diabetes self-care with quality SMBG (self-monitoring blood-glucose) plans. 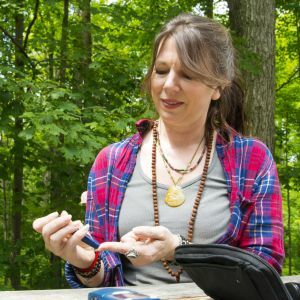 When people with diabetes optimize their use of SMBG, it helps them achieve blood glucose targets and self-care goals -- based on their preferences, medications, and SMBG data results. Individualizing and Optimizing SMBG is a self-paced, 3-module online course designed to help you create personalized, structured blood glucose monitoring schedules and processes to support people with diabetes. Help individuals interpret the effects of food, physical activity, and medications on glycemic control, achieve target blood glucose levels, and prevent complications. This program for diabetes educators has a strong focus on detailed case-study activities for participants to practice and learn decision-making strategies around SMBG. This 6-hour long course has three (3) modules and is accredited for 6 CE. After completing this course, learners should be able to create and adjust individualized blood glucose monitoring plans to support individuals with diabetes in achieving blood glucose targets and health goals, based on the individual’s preferences, medications, and SMBG data results. This course is an application-based activity designed for individual or groups of diabetes educators, including RNs, RDs, Pharmacists, Nurse Practitioners, Clinical Nurse Specialists, Physician Assistants, MDs, and other health care providers interested in improving care for their patients with diabetes and other related conditions. Ms. Frazzita is Assistant Vice President of Medical Management at Emblem Health, serving the greater New York City area. She is a certified diabetes educator, and specializes in population health management, program development and clinical transformation. Dr. Kent has over 40 years of experience in developing, training, and implementing medication and treatment guidelines. His training has focused on physicians, nurses, pharmacists and other allied health providers in clinical drug management, with economic and health care outcomes emphasis for patients in a managed care organization. He specializes in diabetes care and has designed educational resources for patients and providers, developed diabetes care products for patient self-management, and designed and implemented new care delivery models for pharmacists in specialty and primary care. 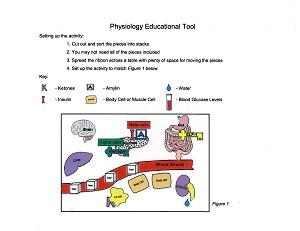 Supported by an educational grant provided by Lifescan, Inc. This educational program will provide 6 contact hours of continuing education credit. Learners must complete the entire course and successfully complete the final learning assessment with a score of 70% or higher to earn CE. A statement of credit will be provided online. This educational program will provide 6 contact hours of continuing education credit. The American Association of Diabetes Educators, (AM001) is a Continuing Professional Education (CPE) Accredited Provider with the Commission on Dietetic Registration (CDR). Registered dietitians (RDs) and dietetic technicians, registered (DTRs) will receive 6 continuing professional education units (CPEUs) for completion of this program. Continuing Professional Education Provider Accreditation does not constitute endorsement by CDR of a provider, program, or materials. The American Association of Diabetes Educators is accredited by the Accreditation Council for Pharmacy Education as a provider of continuing pharmacy education. This program provides 6.0 contact hours (0.60 CEU’s) of continuing education credit. It is the policy of the American Association of Diabetes Educators to require that anyone who has an opportunity to affect continuing education activities' content (e.g. authors, presenters and program planners) with products or services from a commercial interest with which s/he has financial relationships, discloses those financial relationship/s with commercial entities to participants. Mechanism to Identify and Resolve Conflicts of Interest: AADE undertakes a review of the educational activity by a content reviewer to evaluate for potential bias, balance in presentation, evidence-based content or other indicators of integrity, and absence of bias, and reviews participant feedback to evaluate for commercial bias in the activity. Relevant disclosures (or lack thereof) among educational activity faculty and planners are as follows. - Daniel Kent, PharmD, CDE, AAHIVE, has no relevant financial disclosures to report. - Marie Frazzitta, NP, CDE, DNP, MBA, has no relevant financial disclosures to report. - Jodi Lavin-Tomkins, MA, BSN, RN, CDE, AADE, Chicago, IL, has no relevant financial disclosures to report. - Joanne Rinker, MA, RD, CDE, AADE, Chicago, IL, has no relevant financial disclosures to report. - Anne Willmore, AADE, Chicago, IL, has no relevant financial disclosures to report. - Kellie Beumer, e-Learning Consultant, AADE, Chicago, IL, has no relevant financial disclosures to report. The approval of this educational offering by the AADE does not imply endorsement of specific therapies, treatments, or products discussed in the activity. Volume discounts are available and will be automatically applied at check-out when the desired quantity is selected. You will have access to this learning activity for a period of six months after you enroll, or whenever the activity's CE credits expire (whichever comes first). Active registrants must complete the current course before its expiration date of 10/10/2021.